Crimson Tide trio sign their letters of intent at Glencoe High School's Commons. A trio of Glencoe seniors signed their letters of intent together as part of a lunchtime ceremony in the Commons Tuesday, June 5, at Glencoe High School — proving the old adage that "good things come in threes." Mark Hodge, Amanda Fassold and Jeremy Ravelo-Romano, standouts on the track (and pitch, in Ravelo-Romano's case), made their college decisions official by signing their letters of intent in front of family, friends, and both current and future coaches. Hodge signed to compete in track and field at the Oregon Institute of Technology. The senior sprinter, who also played football for the Crimson Tide, chose OIT over other suitors primarily due to academics. He hopes to initially study pre-med, but he also cited an interest in engineering if pre-med fails to work out. Despite his own doubts about participating in athletics beyond college as recent as a couple years ago, Hodge started to see its potential last year after working with former Jesuit head track coach and current St. Mary's Academy assistant coach Art Anderson. "My parents were a huge help, but Amanda and I both train with Art Anderson, and he helped me a lot," said Hodge. "He's like a club coach. So between him, the school and my parents, it was a pretty tight group that really helped me improve." And it's that improvement that has Anderson excited about Hodge's future on the track at OIT. "Mark was more of a football player when we started, so we had to adjust his hips to excel on the track, and once we did that, he started to really excel in the 100 and 200 meters," said Anderson. "Going forward, he'll get great training at OIT, and I expect him to get down to 10.8 in the 100 meters and low 22 seconds in the 200. He hasn't really been pushed, and once he's pushed, I think he'll do great." 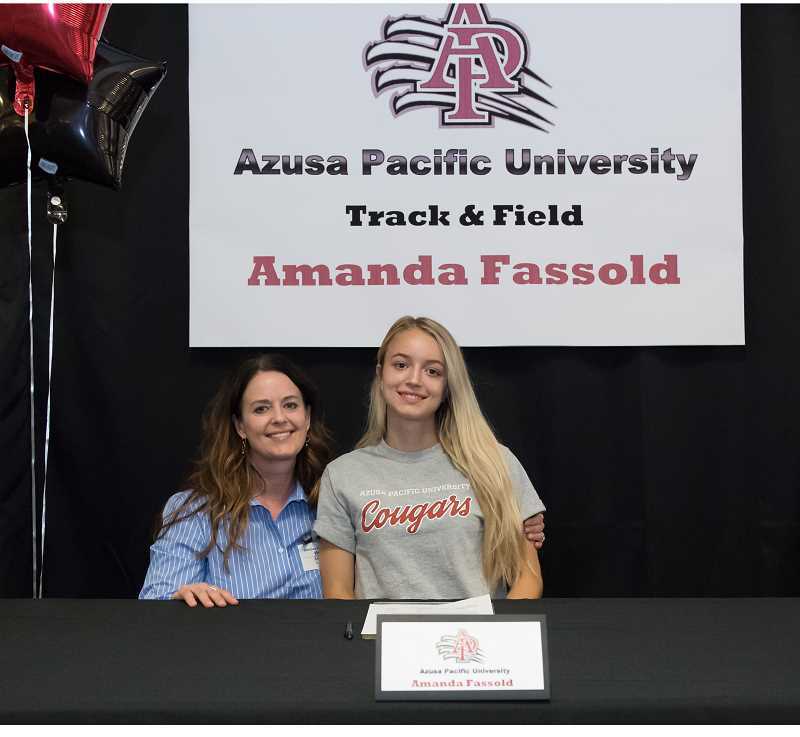 Fassold, another of Anderson's pupils, is headed to Azusa Pacific University just outside of Los Angeles. The recent graduate was a sprinter and long jumper for the Tide who also dabbled this past season in the pole vault. While excelling in individual events like the long jump, where she finished ninth at last month's state meet in Eugene, Fassold is eyeballing the heptathlon at Azusa Pacific. She feels confident and is looking forward to a series of new events, she said. "I'm excited about branching out and trying new things, but we'll see what happens," she said. "I'm total open to trying new things, because I'm the type of athlete that wants to go out and just do the best that I can do." Coach Anderson, too, is excited for Fassold's future and enthusiastic about her potential as a heptathlete. "Amanda came to me through her mom and a mutual friend, and as a freshman, we saw what she could do," Anderson said. "She was a very talented athlete, and we slowly developed her in other events. I think at the next level, she projects forward in a lot of different events." He added, "I definitely think she can excel at the heptathlon. She still needs to learn the shot put and javelin, but aside from that, she's pretty good." The recent graduate chose Azusa Pacific primarily due to its track program, but also due to the campus and culture being established by new head track coach Jack Hoyt. "They have a really good track and heptathlon program, and they also have a new coaching staff, and I think it's the right fit for me," Fassold said. She said she plans to study business and possibly international business in college, and she's excited about getting to Azusa Pacific and starting the next chapter in her life. But while she admitted she is anxious to move on, she'll also miss Glencoe and the people she's met as part of her Crimson Tide experience. "I'll miss the culture," she said. "The people have all been great to me here." Ravelo-Romano echoed Hodge and Fassold's sentiments regarding Glencoe and its friendly atmosphere. He won't be traveling far, either, having chosen his college in an effort to remain close to home. 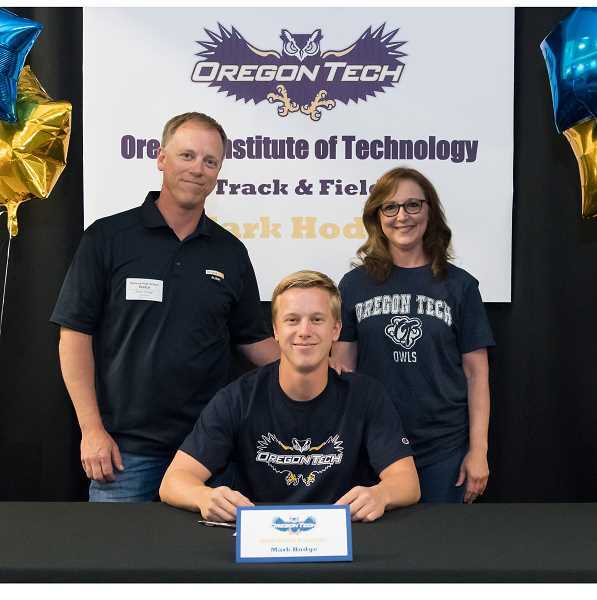 The second-team All-Metro League selection from last season will attend George Fox University in Newberg this fall, where he'll play soccer for the Titans. 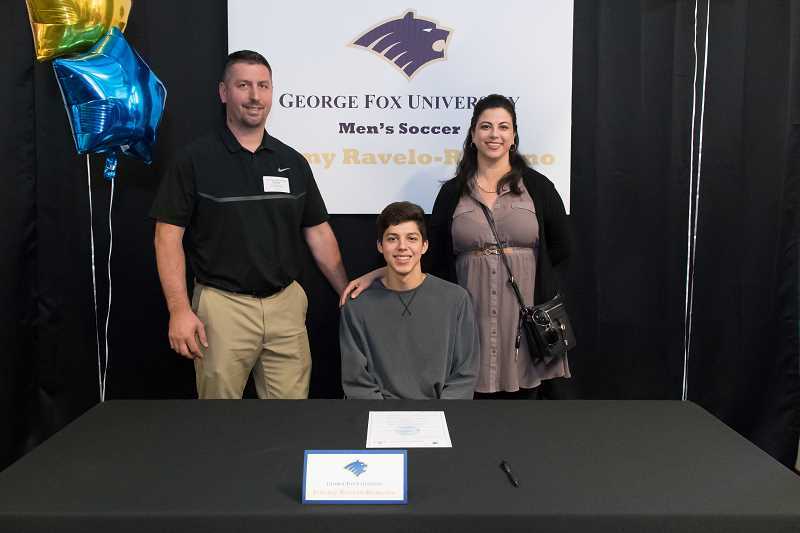 Ravelo-Romano chose George Fox over Linfield College and St. Mary's University of Minnesota. Of George Fox, he remarked, "They also offered me the most financial support, which helps." Ravelo-Romano plans to study education and hopes to be a teacher after college. He was extremely appreciative of his time at Glencoe and said he'll definitely miss his friends and a number of his teachers. But specifically, he wanted to thank his coaches for advancing his game on the pitch. "Definitely want to thank Coach Brubaker and my club coaches John Bain and Jimmy Velasco," said Ravelo-Romano. "They put me through a lot of training and hard work."